Heber City is one of the fastest growing areas in Utah. This small city has a population of around 14,000, and is located just 15 minutes southeast of Park City Utah. 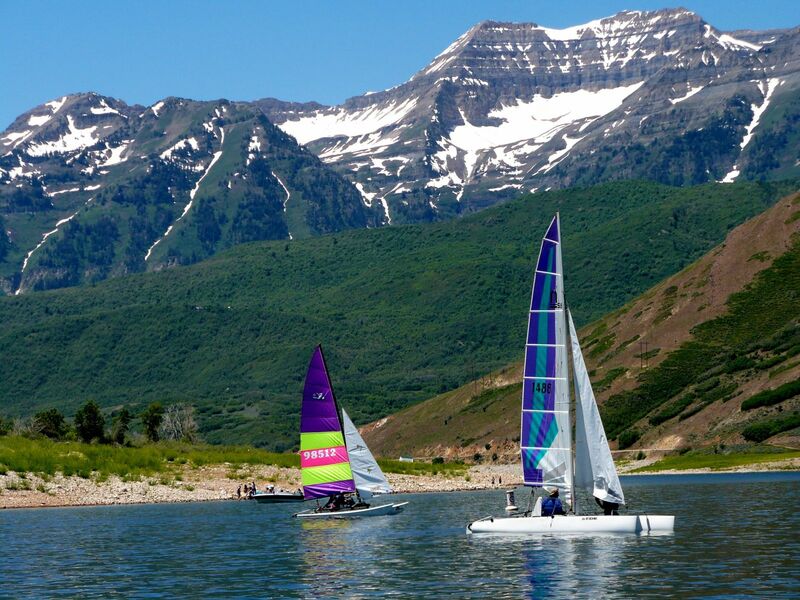 Heber City offers all of the scenic beauty and direct access to year round activities enjoyed by visitors and residents of the Wasatch Mountains – without the crowds that are drawn to it’s popular neighbor - Park City. That is driving a surge of activity in the Heber Valley real estate market where homebuyers will find their money goes farther than in Park City, too. Heber City real estate offers several new developments – with numerous choices for condominiums, townhomes, single-family homes, luxurious estate properties, and farms or ranches. • Golf at the scenic Red Ledges where you can choose from an 18-hole Jack Nicklaus Signature Course, or the first ever 12-hole Jack Nicklaus Signature Golf Park. • Fishing and water sports like stand up paddle boarding, kayaking, canoeing, and water skiing at Deer Creek Reservoir or Jordanelle Reservoir. • Alpine skiing and snowboarding – Heber City is just 20 minutes from the world-class Deer Valley® Resort, Park City Mountain Resort, and 30 minutes from Canyons Resort. • Nordic skiing is available in many areas around Heber City, but the most popular is at Soldier Hollow, home to several 2002 Winter Olympics Nordic events. • Endless miles of mountain biking, hiking, and equestrian trails. • Scenic train rides year round on the historic "Heber Creeper"! Learn more at the Heber Valley Railroad Station. You can find year round activity and event info for the entire Heber Valley at our Heber Valley Info page. All current property listings for Heber City will be displayed below or can be found on our Map Search. Use the community guide on right column of this page to view information and listings for specific Heber City and Daniel subdivisions. For more information, or to arrange a personalized tour of the Heber City Utah area, please contact YouInHeber.com today.